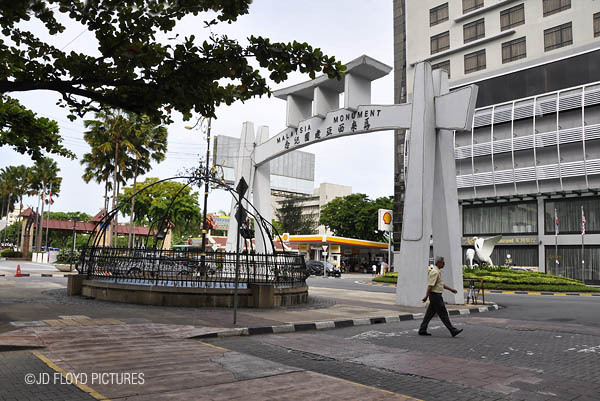 The Malaysia Monument is located between DBKK building and Horizon Hotel, somewhere along Jalan Pantai (some people call it Beach Street) in Kota Kinabalu city centre. 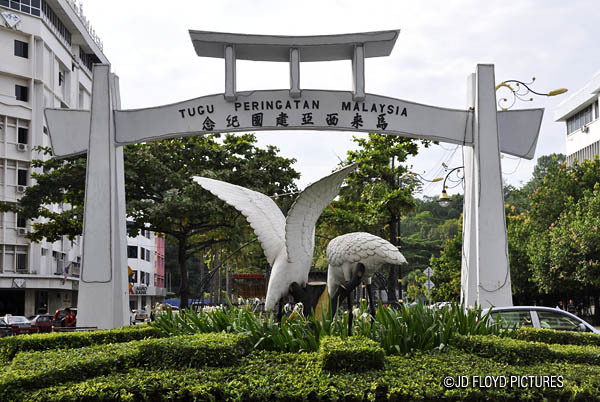 In front of the monument, there is a beautiful replica of the city's mascot, the Great Egret. The monument was erected to commemorate the inclusion of Sabah & Sarawak into the Federation of Malaya on 16 Sept 1963, to form a federation we know today as Malaysia. 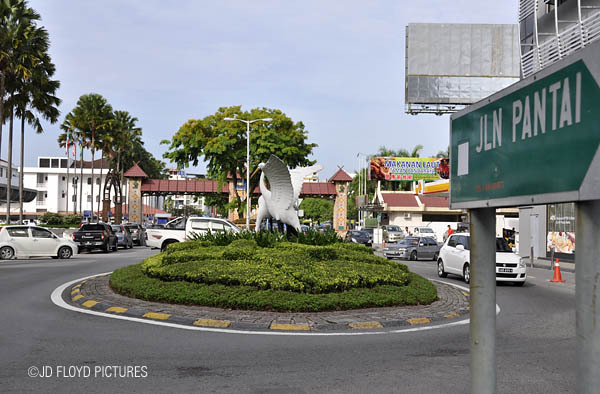 Navigate to Jalan Pantai and look for the roundabout with egret replicas. For visitors and tourists hoping to get more information about this monument, you'll be disappointed as the plaque has been removed for as long as I can remember, probably by vandals and no effort by anyone to put up another to replace it. So, there is very little one can tell about it. 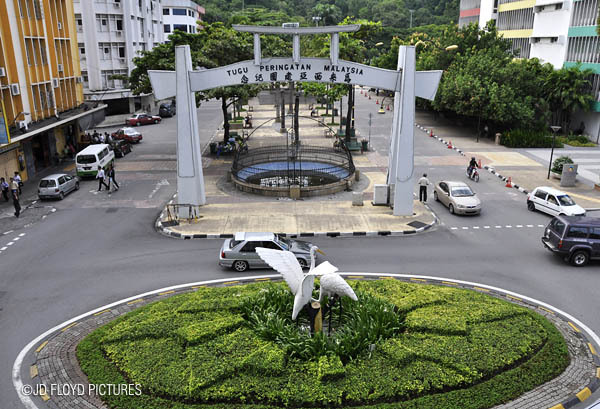 Without the plaque,this monument is just like a plain deco in the heart of KK city. Sad. what a beautiful and meaningful monument. it's a pity that no efforts have been made to establish a new plague. These pictures are indeed very professionally taken. They are more beautiful in the picture than the real ones..hehehe..keep it up buddy. Funny, we have many live great egrets here, but no statues of one. Your replicas are very nice and kept on a beautifully manicured lawn.